This BlackJack Knives Classic Model 7 features a black canvas Micarta handle with a polished guard and pommel. 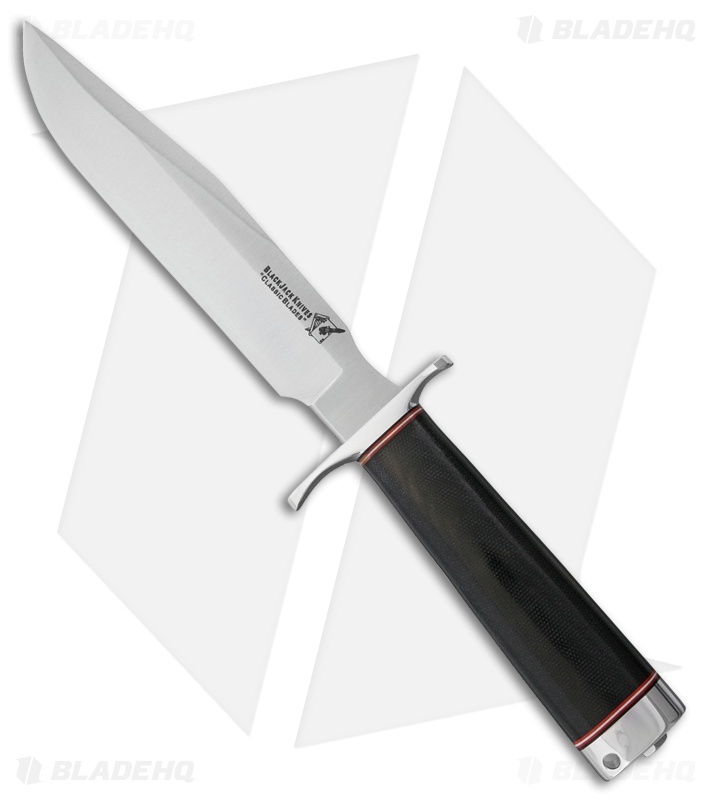 The blade is convex ground CPM-3V steel. The Model 7 comes with a brown leather belt sheath. Made in the USA.